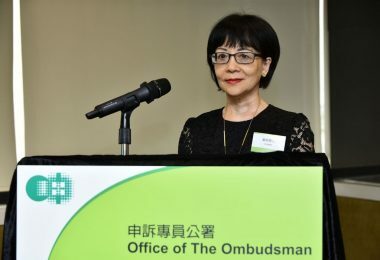 A campaign staffer for candidate Carrie Lam has told an elector that a meeting with him could be arranged by the chief executive-elect office after Sunday’s election, according to an accountancy sector voter. Ronald Kung Yiu-fai, who leads the four accountancy sector electors, said they tried to ask candidates Lam and John Tsang to meet with them to discuss issues affecting the sector before the vote on Sunday, since they did not have an opportunity to do so before. They already met with Tsang. 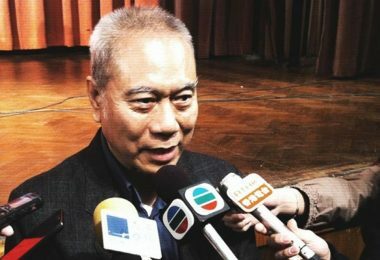 But after they invited Lam to meet on Monday, Kung said one of his team members received a call from a female member of Lam’s campaign office. The office for the chief executive-elect was set up on Monday. 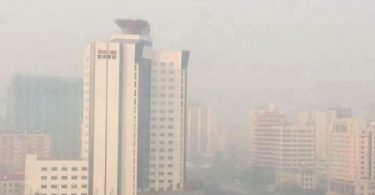 Lam is widely seen as Beijing’s favourite. No democrats have said that they will vote for her. 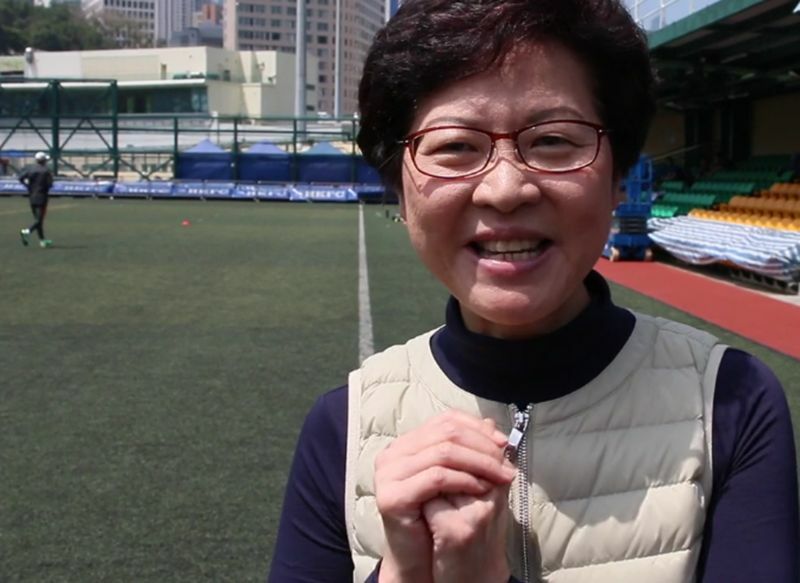 Kung said the incident meant that Carrie Lam’s team felt it was a certain win for them. “It’s one thing that they don’t care about electors anymore, that they are so confident they already have enough votes, that they will win – but even if you have won, you still need to be appointed by Beijing, you have yet to take the position officially,” he said. Ronald Kung. File Photo: Apple Daily. Kung said he could not identify the female member as she hung up quickly. 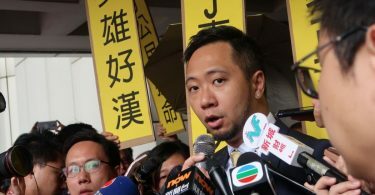 Lam’s campaign office said in response that it has never heard that the chief executive-elect office will be involved. It said the campaign office’s role is to conduct the election campaign until the election, and matters after voting day have nothing to do with the campaign office. 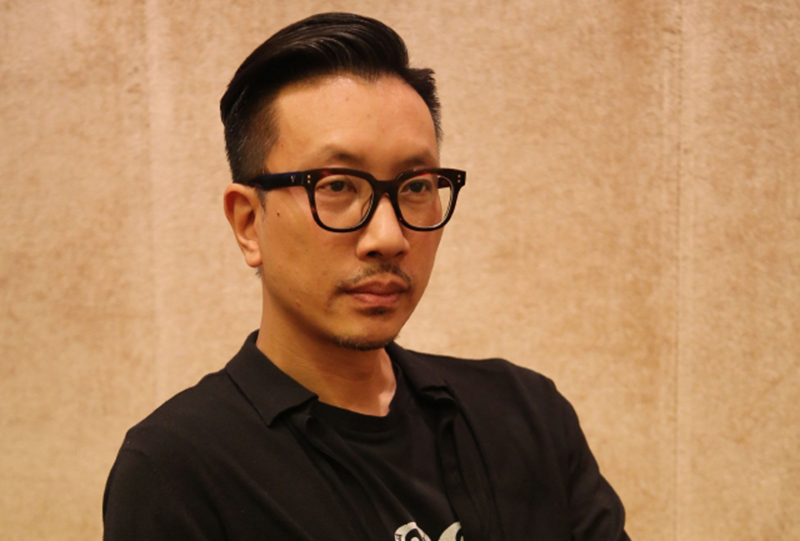 Kung said that he did not belong to the pro-democracy camp, and that he ran for a seat as an elector in order to keep Chief Executive Leung Chun-ying from being reelected. 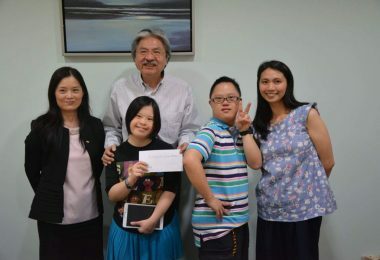 His team of four nominated John Tsang, but he said they will consider the four criteria mentioned by Wang Guangya, the director of the Hong Kong and Macao Affairs Office of the State Council. 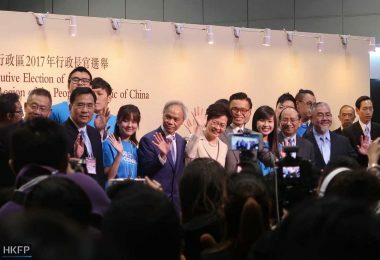 They included requirements that the new chief executive must love the country and love Hong Kong, be able to govern, trusted by the central government, and supported by Hong Kong people. 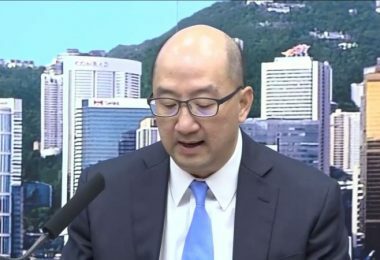 Kung said he believed both Tsang and Lam fit the first three criteria, but Tsang was ahead of Lam in terms of support from Hong Kongers. Kung also said he will welcome Lam to meet them after she wins. 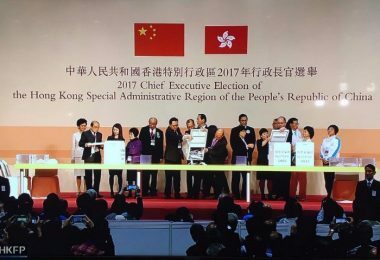 The third candidate running is former judge Woo Kwok-hing. Meanwhile, Ip Kwok-him, a prominent pro-Beijing elector, said he expected Lam to win by more than 700 votes out of 1,194.